Is your body in balance? Lots of people want to lose weight, improve their fitness, or simply become healthier. Changing your eating habits, exercising more, and taking other preventive steps to increase your longevity or enjoy your life to the fullest are things most healthcare professionals recommend you do. However, even if you do achieve some of the tangible goals noted above, are your actions really adding healthy years to your life? To simplify, your body can be divided into two categories: fat mass and fat-free mass. Subcutaneous fat, also know as body fat, can be classified as either white or brown. Each has a different function. Visceral fat is the fat that is found in and around our abdominal organs. An excess of visceral fat is the most telling predictor of the likelihood of a coronary event such as a heart attack or a stroke. Obviously you can’t change the volume of bones and organs you have in your body, but you can change the ratio of unhealthy fat to lean muscle. This is where a body composition analysis can help. Simply stepping on the scales to see if you’ve lost weight can’t tell you what has been lost - muscle or fat. Knowing the exact composition of your body can help you determine the best way to change your lean to fat ratio. This, in turn will help you to achieve a healthier ratio, look and feel better and, most importantly, be healthier. Where do you sit on the spectrum? Are you a fifty-something going on thirty-five or has your body enjoyed a few more birthdays than it should have? Luckily it’s not the outcome of the test that matters. A body composition analysis simply provides a benchmark from which to improve. If you’d like to achieve or maintain a more youthful body age, or if you need to reset your body’s age, a body composition analysis can help you find out what next steps are recommended. 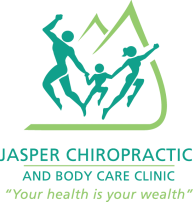 A body composition analysis is a tool we use at The Jasper Chiropractic and Body Care Clinic to initiate a healthy physical change.